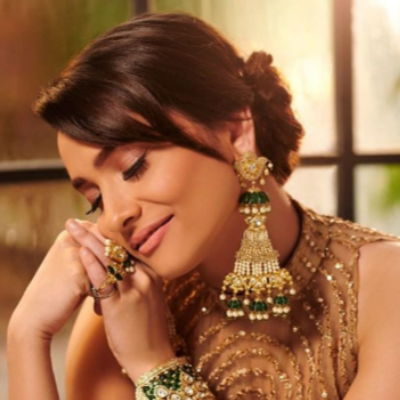 Indian beauty captivates us all, and the endless charm of these stunning ladies from Bollywood spelt a cast to the handsome hunks of our Indian Cricket team. No wonder how these men bleeding in blue fell head over heels for the graceful eternal beauties stealing the hearts of millions. 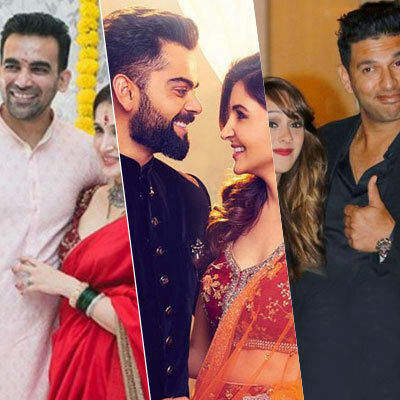 In the wake to strike a perfect balance between sports and glamour, cricket has finally married to Bollywood, as we witness an array of such lure-worthy weddings taking place back to back. 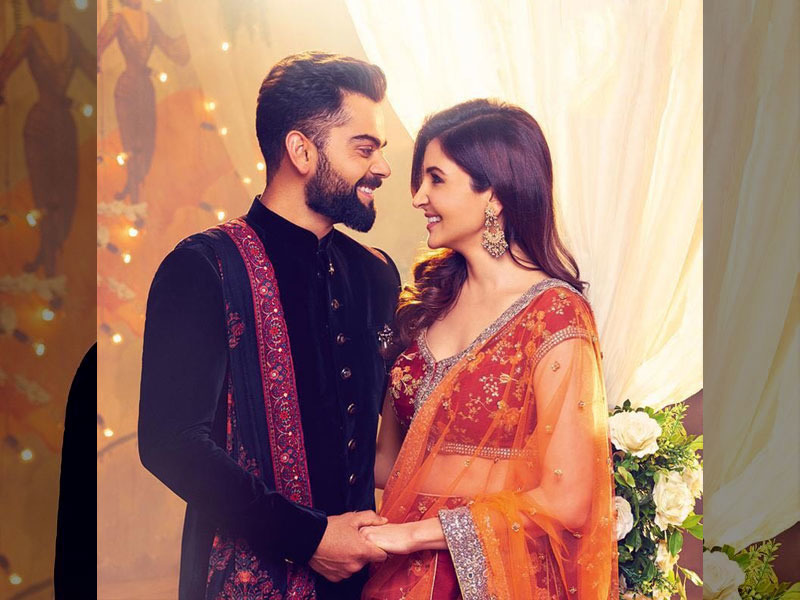 Read Sagarika – Zaheer followed by our #Virushka, the trending couple of the season. However, the unnerving chemistry of these couples is just beyond awesome. Scoring a perfect hit with each other, as we catch a glimpse of these stunning couples walking hand-in-hand, we’re totally eyeing at their jewellery which is giving us major jewellery goals. Are you feeling us ladies? 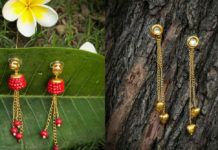 From bohemian sterling silver to signature chandbalis, exotic semi-precious stones to dazzling studded necklaces, these leading ladies adorning the graceful jewelery trends and giving the mainstream gold and diamonds a run for money, Zero Kaata Studio is here to tell you how to style the iconic pieces right and make a statement worth cherishing. 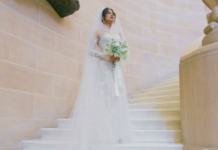 The beautiful couple who began the second innings of their life last year dated for a good five years before tying the knot. 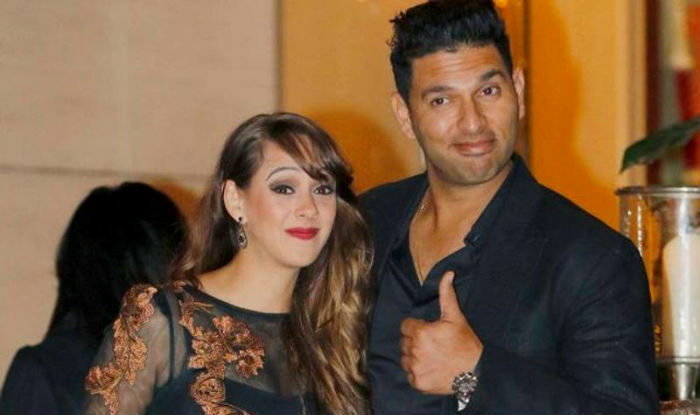 The ever-talented Yuvi who battled against the sinful cancer and met a beautiful soul Hazel made a stunning pair. 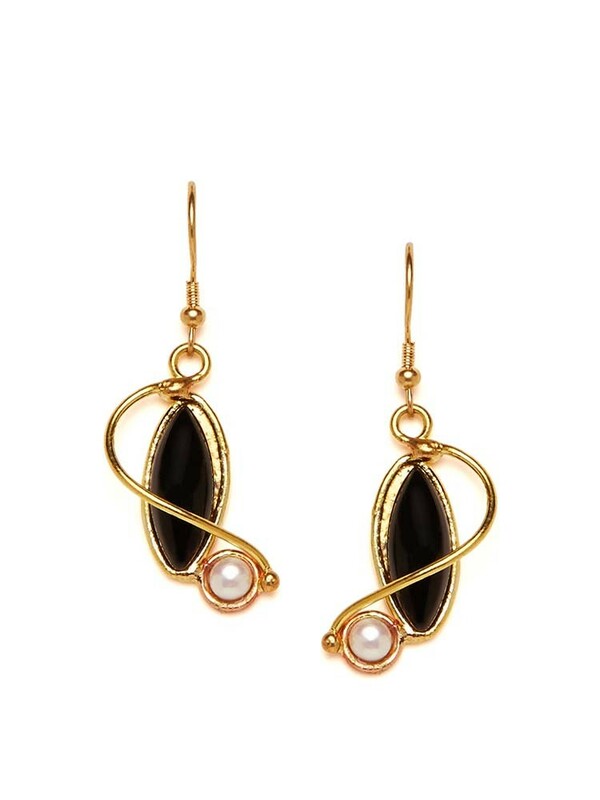 While we loved Hazel Keech’s coordinated wedding outfit and her elegant jewelery selection, we particularly ogled at these black delicate drops. 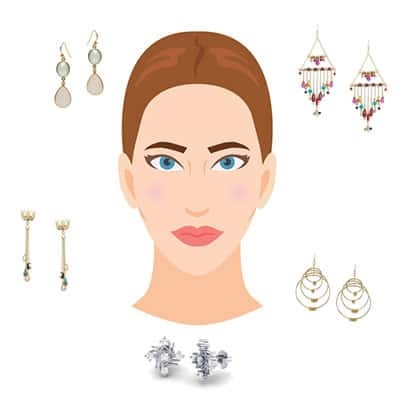 Wedding quintessential for women who love to keep it low-key and sophisticated with statement fashion jewelery, this is your answer to ever-changing fashion needs. 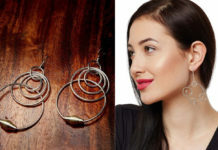 You can shop for our similar Baroque Entangled in love earrings at www.zerokaata.com. The gorgeous good-looking couple just got married a few months back. 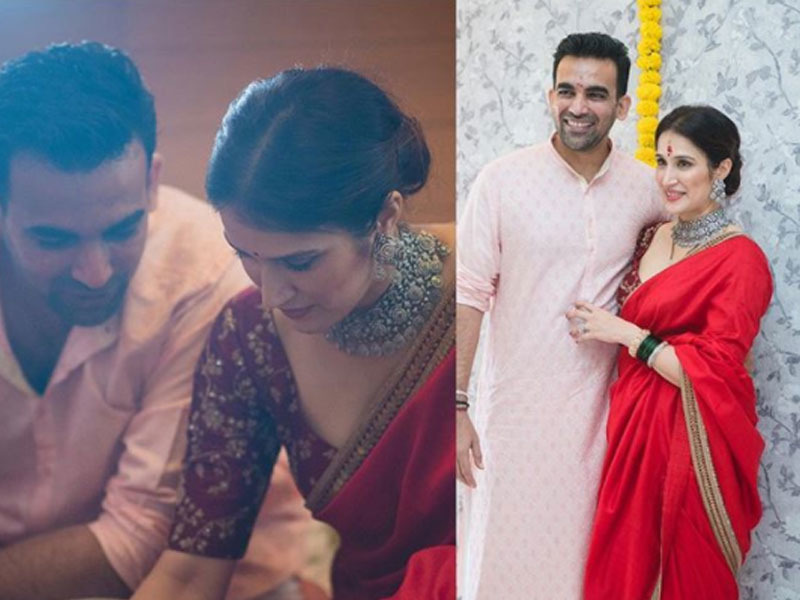 Stealing the spotlight, this bundle of joy came as a true blue surprise when Zaheer posted a selfie on Instagram publicly announcing of his official proposal as Sagarika flaunted he big rock. The two got married in a private simple space. 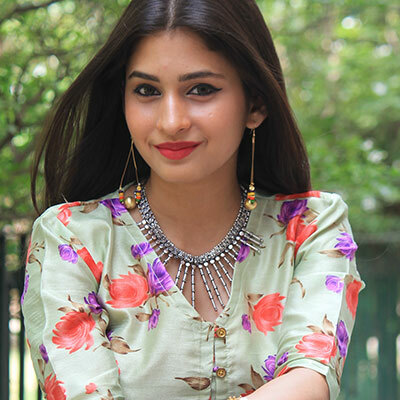 Sagarika’s statement sterling silver jewelery left a deep mark in our heads as she draped a plain red saree to compliment hertraditional jewelery with panache. 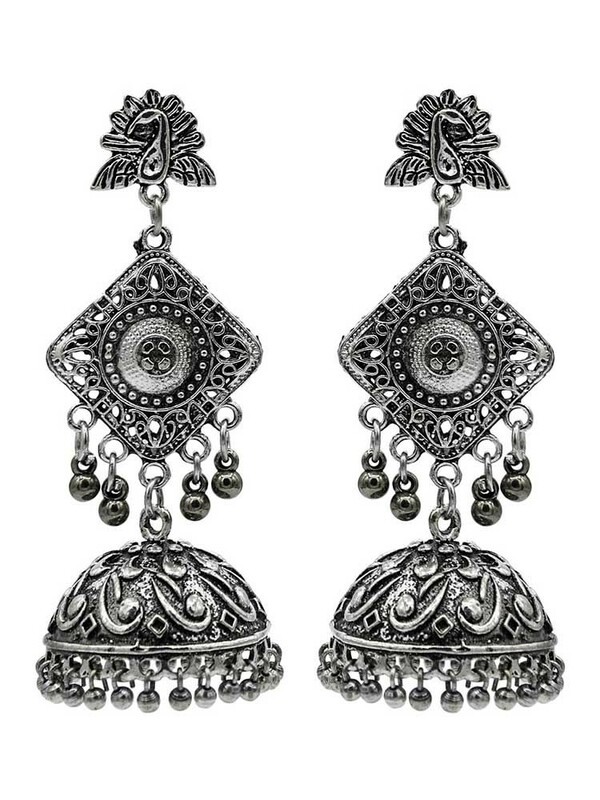 You can shop similar look by pairing our Banjara Ethnic Statement necklace and our Made in India Danglers on www.zerokaata.com. Virushka is going all glam and glitzy in their wedding affair with the couple tying the knot in the faraway wine yards of the whimsical Tuscan city in Italy. The much-popular duo was always in the news as their fans awaited their wedding. Finally, the two have begun their new journey and we just can’t help but drool over their infectious energy and lifting spirits. 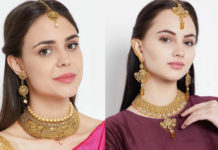 Look at the amazing Anushka sporting the statement chandbalis which are oh-so-trending this season.Re-create the similar look this wedding season with Zero Kaata’s Royal Romance collectionSailing Boats Traditional Chandbalis from www.zerokaata.com. 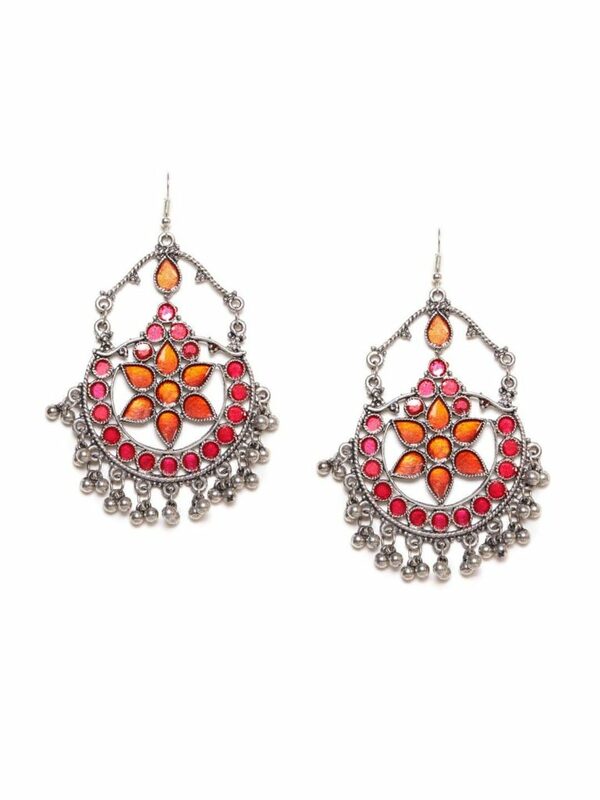 Shop all your wedding needs from one stop destination for all your fashion jewelery needs and re-create fun and flirty wedding looks with Zero Kaata’s exclusive fashion jewelery at affordable prices! 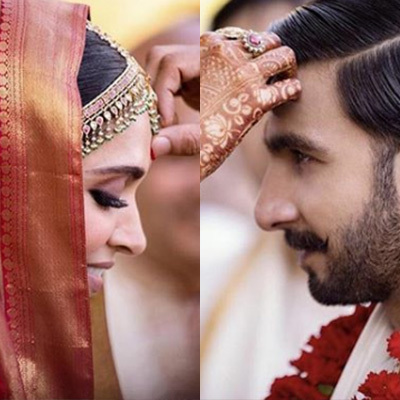 These 5 Jewelelry Pieces from #DeepVeerKiShadi outshined everything else! 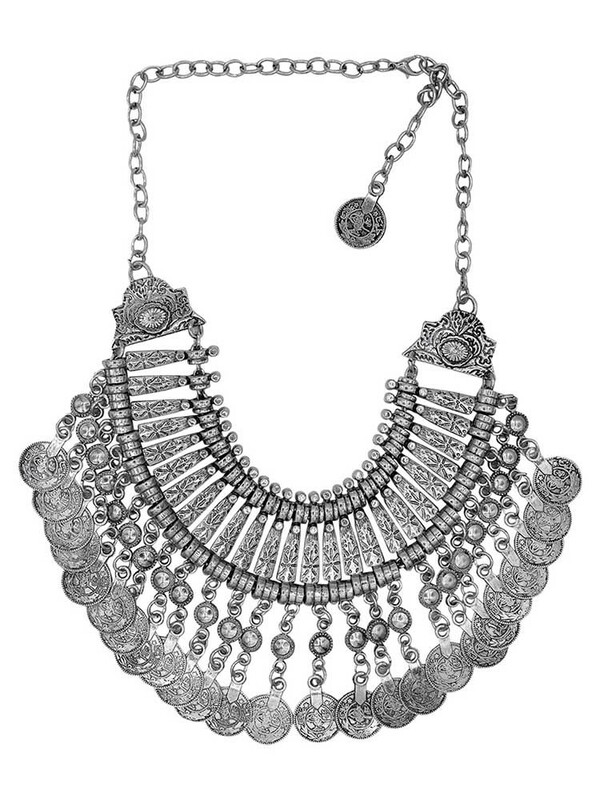 Sonam Kapoor is making her #EverydayPhenomenal with this Jewellery Trend!